To contact the school, call (053) 914 6162 or you can e-mail reception@loretowexford.com. During term time, the main office is open between 7.45 a.m. and 4.15 p.m.
Who are the main front-of-house personnel? We do this mainly through our website – loretowexford.com. Details of booklists and the school calendar are placed on the website in May every year. Letters to families are uploaded to the website at various times throughout the year. Details of school events are placed on the website every week during term times. The school also uses text message to communicate with home. How do I contact a specific teacher? To contact a particular teacher, please ring the main office and leave a message. The teacher will then contact you when s/he has an opportunity. I need to contact my daughter during the school day. What should I do? In this situation, parents are asked to contact the main office with the relevant details and we will pass the message to your daughter. This service must only be used for important messages. I need to take my daughter out of school for an urgent matter. What should I do? In this situation, parents are asked, upon arriving at the school, to speak to the Deputy Principal. A permission to leave form, available in the student journal, should then be filled out. Under no circumstances can a student leave the school without the prior knowledge of a Deputy Principal or the Principal. My daughter needs to go home during the day due to illness. How can she contact home? Students who are feeling unwell are asked to contact Ms O’ Reilly (Deputy Principal). If it is a case where the student has to go home, the school will contact home to make the arrangements. Before leaving, the student should also sign out. Each student is encouraged to remain in school for the full day, if possible. In case Ms. O’ Reilly is absent, students should see either Mr. McGinnity (Deputy Principal) or Mr. O’ Shea (Principal). When do Parent/Teacher meetings take place? There is one parent/teacher meeting per year group each year. The calendar, available on our website, lists the dates for each meeting. Parent/teacher meetings take place between 4.15 p.m. and 6.45 p.m.
Parents are welcome to arrange separate appointments with teachers throughout the year by telephoning the main office and leaving a message for the relevant teacher. Does the school organise any other meetings for parents? Yes, the school arranges a number of meetings throughout the year. general parent body about the work of the school and general educational issues. There is an information evening for incoming 1st year parents. We provide an annual overview of Transition Year for 4th year parents. We also provide a study skills talk for all parents each year. How can I find out more about the running of the school? The school is keen to keep all parents informed of developments in the school. To this end, the school website is updated weekly. Furthermore, at the autumn general meeting of parents, school management, on behalf of the Board of Management, present a full, annual report to the school community on all aspects of the running of the school. This report is then published online, for those unable to attend on the night. The Principal and Deputy Principals will be very happy to meet with parents on an appointment basis to provide other information in relation to the school if so requested. I would like to become more involved in the school. How can I join the Parents’ Council? The school welcomes the involvement of parents. The schedule of meetings for the Parents’ Council is outlined in our calendar. Normally, these take place on the first Monday of each month, during term time. Newcomers are welcome to attend any meeting. You can contact the Council via their e-mail address: parentscouncil@loretowexford.com. involved in the school as a parent. What is the role of the Parents’ Council and how can I find out about their work? The general objective of the Parents’ Council is to promote the interests of the students and parents in the school. 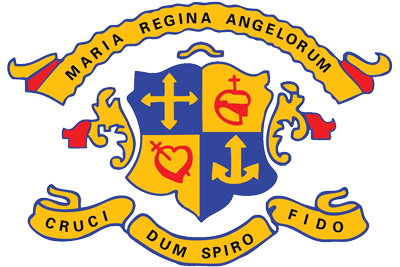 A detailed report of each meeting of the Parents’ Council can be found on our website by clicking the ‘Administration’ tab. How often do I receive school reports? School reports are issued twice a year. They are accessible through E-portal and a paper copy is also posted home. Reports are issued in respect of all students in mid December. Details of mock examinations are issued to 3rd and 6th year parents in March. A Certificate of Achievement is presented to students in 4th year in late May. Reports on students in 1st, 2nd and 5th years are issued in mid June. What is E-Portal and how do I access it? E-portal is a software package that the school uses. Parents can access E-portal through our website. By logging in with your username and password (issued by the school), you can see your daughter’s exam results and timetable. Exam results from previous years are also available through E-portal. I cannot access E-portal. Who should I contact? Parents are asked to guard their login details carefully. However, if you have any issues with e-portal, you are advised to phone the main office. How do students keep their property safe? Students are required to keep all personal property in their secure locker. Coats/bags that are too big for lockers may be left in the designated coats/bags area. All personal property should be clearly marked with the owner’s name. Queries regarding lost property may be addressed to the main office. As a general request, the school kindly asks all parents/guardians to make every effort to ensure that their daughter is in school every day. As far as possible, external appointments should be scheduled outside of school time. Each student is responsible for submitting an accurate note, explaining the reason for any absences. My daughter has a dental appointment at 11 a.m. the next day and will be absent from school for a couple of hours. What’s the procedure? The permission to leave form, available in the student journal, should be filled out by a parent the night before the appointment. Your daughter must call to Ms. O’ Reilly (Deputy Principal) between 8.30 a.m. and 8.50 a.m. the following morning in the General Purpose Area to obtain the school’s permission to leave. Before leaving, students are asked to sign out using the sheet in the General Purpose Area. Upon returning, they should indicate the time of their return on the same sheet. My daughter was absent for a full day due to illness. How should I inform the school? Absence forms, available at the back of the student journal, should be completed by a parent and then placed by your daughter in the relevant tray in the General Purpose Area by 8.50 a.m. on the day she returns to school. My daughter will be absent for a number of days due to a hospital procedure or a family event. How should I inform the school? In this case, your daughter should bring in a note from home, in advance of the absence and present it to her Year Head or a Deputy Principal. Alternatively, a parent/guardian may contact the relevant Year Head or a Deputy Principal to let us know. Upon entering the school each morning, students must confirm their attendance by swiping their Anseo card in front of any one of the three swipe machines located in the General Purpose Area. This marks them as present. If your daughter has not swiped, you will receive a text message stating that she has failed to register her attendance that morning. The school monitors attendance carefully and contacts home where necessary. Why have I received a text message from the school indicating that my daughter is absent? When a student has not swiped in to indicate that they are present, the Anseo attendance system will automatically send a text message home. If we are aware of the absence in advance, the text message will not be sent home. My daughter forgot to swipe in and is marked absent. What should she do? When does the school contact home regarding absenteeism? As mentioned above, the school monitors attendance carefully. Where a student is missing for a number of consecutive days, the school will, in a spirit of care, contact home. Where a student has missed 10 days in an academic year, the school will send a formal letter home. My daughter has missed over 20 days of school this year due to illness. What happens next? Where a student under the age of 16 misses 20 days, or more, the school is legally obliged to send a report to The Child and Family Agency (TUSLA). School staff monitor the attendance of all students on a daily basis and will make contact with home when necessary. – by clicking on the School Plan tab on the home page. A pdf version of the full plan is available there. Details of the Code of Behaviour and Anti-Bullying policies are also to be found in the student journal. Additionally, a copy of any policy is available on request from the Principal. I suspect my daughter is being bullied in school. What should I do? The school takes cases of alleged bullying very seriously. If you suspect your daughter is being bullied, please encourage her to speak to a member of staff. Alternatively, you are asked to contact the relevant Year Head or Ms. O’ Reilly (Deputy Principal). There is no such thing as an acceptable level of bullying. Prompt and appropriate action on behalf of both the home and the school is crucial in ensuring that such cases are kept to a minimum and do not escalate. What supports are in place to help prevent bullying? Coordination Team (SCCT), which plan activities to raise awareness of bullying. All students also study SPHE (Social, Personal, and Health Education) and/or wellbeing. How much homework should my daughter be doing during the school week? Homework is assigned regularly. Homework can take the form of written work and/or study. The school considers homework an integral part of school life and expects all students to give their best efforts to their work. My daughter will be absent from school for a few days, but does not want to miss schoolwork. What should she do? If your daughter knows she will be absent for a period of time, she should discuss this with her teacher prior to leaving. He/she can then suggest extra work if necessary. If she is ill, she can also contact the school or her teachers directly to request additional work via e-mail. She should also remain in contact with school friends who can inform her of work being done in class during her absence. My daughter is struggling with a particular subject. What should she do? In the first instance, we encourage students to discuss any difficulties they are having with their subject teacher. If problems persist, parents are welcome to contact the school in order to speak to a particular teacher. My daughter is interested in supervised study. How can I register her for it? Supervised evening study is available for students in 3rd, 5th and 6th years only. The teacher in charge is Mr. O’ Sullivan. Interested students should contact him for further information. My daughter is in 1st year and has to make subject choices for the following year. What support does she have in making this choice? have any particular enquiries around matters of subject choice. My daughter is in 4th year and has to make subject choices for the following year. What support does she have in making this choice? Before subject choices are finalised, the school holds a parent information evening on this topic. The Guidance Counsellors are available to provide advice on the night. The Principal and the Guidance Counsellors explain the process of selecting subjects to all 4th year students. Each subject department makes a presentation to all Transition Year students, outlining the content of their subject at Leaving Certificate level. Students are welcome to seek the advice of their teachers if they are unsure as to what subjects to select. Furthermore, parents/guardians are welcome to contact the school if they have any particular enquiries around matters of subject choice. My daughter is interested in taking part in extra-curricular activities. How can she go about this? The school participates in many sporting and non-sporting activities throughout the year. Students are asked to listen for announcements over the intercom and keep an eye on the relevant noticeboards for details of trials, meetings and competitions.